It’s been an extraordinary weekend for gardening. The weather has been warm, dry and still; not a cloud in the sky from when the sun rose on Saturday morning until it set on Sunday evening. Feeling the sun on my face and back, I reflected on the likelihood that this could be the last time this year that I garden in shorts and a T-shirt. I couldn’t have wished for better working conditions, although malignering mosquitos took advantage of my bared limbs and I am now covered in itchy bites. As always, I set out to achieve far more than was possible in two days: cleaning out terracotta pots ready for bulb planting, starting to bring tender succulents indoors, cleaning and repairing our dilapidated greenhouse. All three jobs remain half completed, for I am still engrossed in watering, deadheading and controlling rampant growth in both gardens. 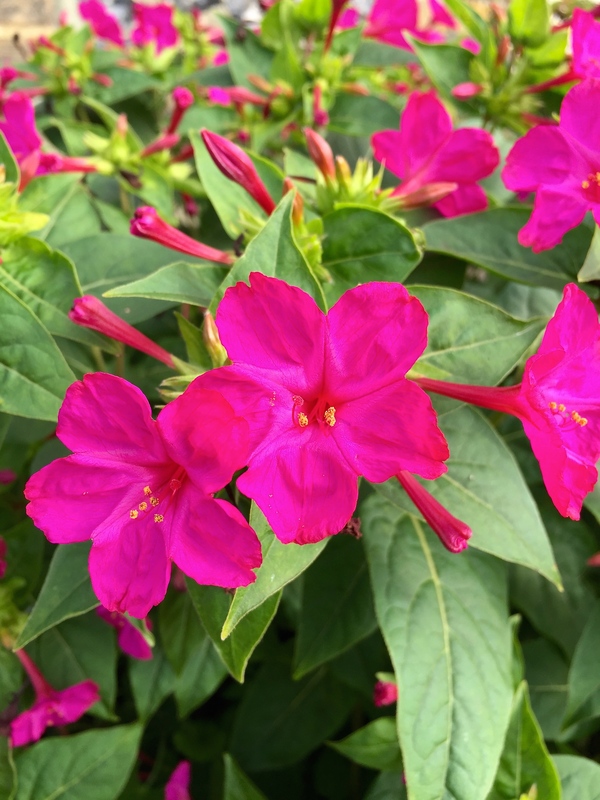 Begonias, dahlias and salvias are still going strong, but one particular plant stands out at this time of year, its magenta flowers glowing in the rich autumn sunshine, and that’s Mirabilis jalapa, commonly known as marvel of Peru, four o’clock flower or tea-time plant. The last two names refer to the plant’s habit of flowering from mid-afternoon, filling the air with a fragrance akin to orange blossom. The trumpet-shaped flowers persist through the night and into the morning, before closing in the heat of the day. 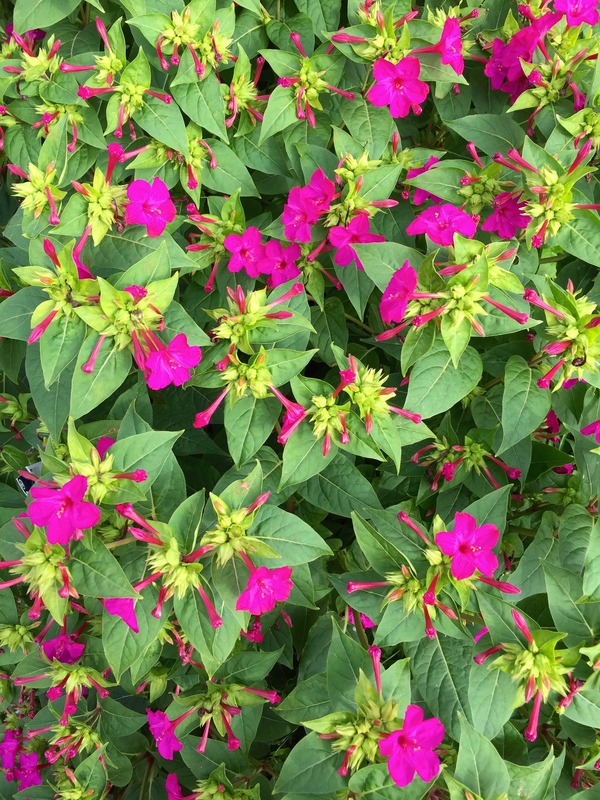 Mirabilis jalapa is easily grown from seed and may bear magenta, yellow, red, white, orange or mauve flowers. 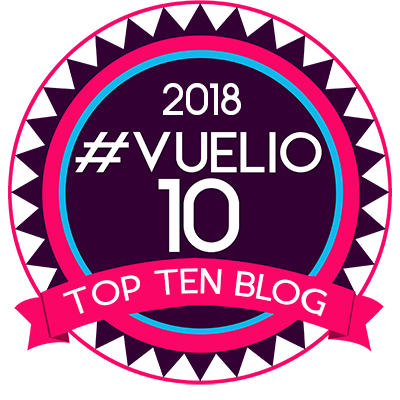 A strange quirk (maybe the ‘marvel’ in marvel of Peru?) is the plant’s tendency to produce different coloured flowers on the same plant. Occasionally, individual blooms might be splashed or striped with contrasting colours. Pure magenta is my favourite – a perfect companion for hot pink salvias and orange dahlias. When established, Mirabilis jalapa forms an overwintering tuber which gets bigger and tougher every year. It’s perfectly hardy in these parts, provided the tuber is given some shelter at the foot of a wall and kept reasonably dry over winter. Should you not be able to offer those precise conditions then plants will grow happily in a pot in a cool greenhouse or can be treated as an annual. Once you’ve persuaded Mirabilis jalapa to flower once you will never be without seed and can look forward to clouds of sweet perfume from mid-summer until the first frosts. What’s more, bees, butterflies and moths love it too. Seeds of Mirabilis jalapa are available from Chiltern Seeds and Thompson and Morgan. Ah yes, we love our tea time. In our house we stop religiously at 4pm on Saturday and Sunday for tea, although it’s more of a transport caf affair than Downton Abbey (i.e. mugs not cups and saucers!). I grew up with 4 o’clocks on Long Island, NY. They were staples just outside the front door — and as a child, I was always amazed at their opening during the late afternoon and then sleeping during the day. I was — and still am — fond of the black seeds, which remind me of small finials or urns. When I moved into my own house on Long Island, I continued the tradition, and the plants often reseeded and/or survived through the winter. Seems I’ve chosen an evocative and adaptable plant! So far we’ve located it in Long Island, California and the Midwest. I think I first got to know it in India and then we met again in Montenegro. Our marvel of Peru clearly gets about a bit, and rightly so. I shall have to look more closely at the seeds I’ve collected. I am intrigued now! Like Beth, it’s one I’ll never be without as well. Here in California, they reseed like crazy, popping up in the strangest places. I do enjoy seeing them peer out of retaining walls, so that my evening walk with the pup is well perfumed. Great pics, are they phone shots or camera shots? I think I read earlier that you shoot some of your pics with an iPhone? Hi Max. Yes, they are iPhone shots in this instance. I find I use the phone camera more and more, especially when I am pottering in the garden. Somehow it captures colours more accurately (especially reds and yellows) and is fine so long as the subject is close. Often I take the iPhone and my SLR out on garden visits and end up preferring the iPhone shots. Envying your fragrant evening walks with the pup!